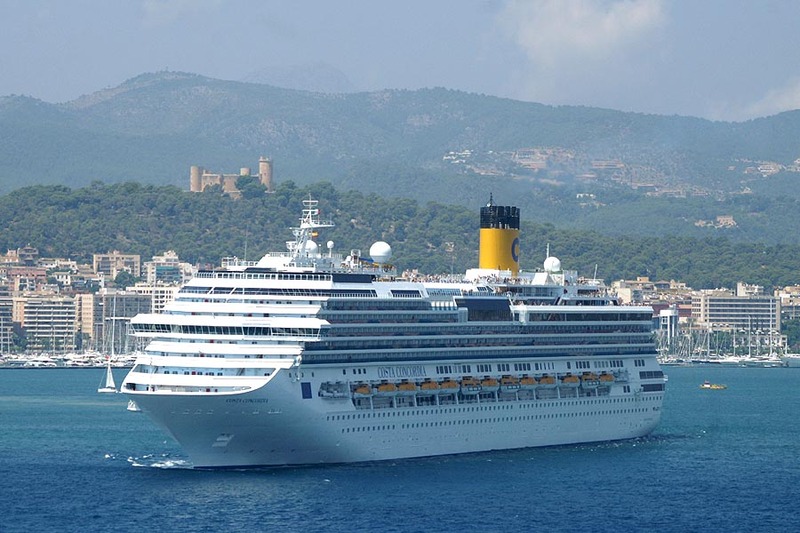 Before the Italian cruise ship, Costa Concordia, went down in the cold Mediterranean , it was a pretty nice ride! Christened in 2006, this 952 feet long, 17 deck cruise ship could zip along at 23 knots. 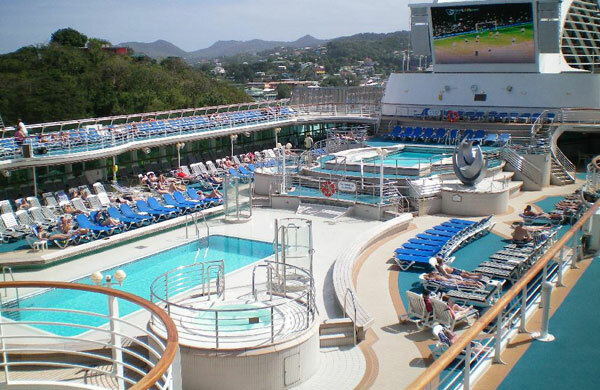 It mostly did cruises in the Mediterranean that ranged from 4 night quickies to 14 night longer vacations. She had/has 1,500 cabins - 505 of which have private balconies and 55 have direct access to Samsara Spa. 58 suites have private balconies and 12 have direct access to the spa. Speaking about this spa...the ship has one of the world's largest exercise facility areas at sea, the Samsara Spa, a two-level, 65,000 sq. ft. fitness center, with gym, a thalassotherapy pool, sauna, Turkish bath and a solarium. 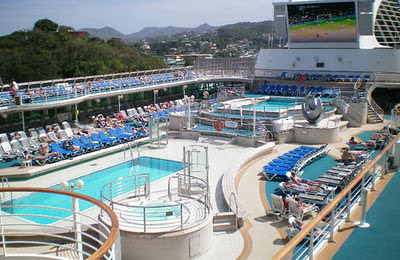 The ship has 4 swimming pools, 2 with retractable covers, 5 jacuzzis, 5 spas, and a poolside screen on the pool deck. When it came time to drink and eat, you were in luck there too! Costa Concordia has 5 on-board restaurants, 13 bars, including a cigar, cognac, coffee and chocolate bar. When you wanted to have fun you could have hit up the three-level theatre, casino, and a funky disco. NOT ANY LONGER! Now this 570 million dollar made ship lies half sunk off an island. Will they be able to right-side the ship and fix it back up? I have no idea, but it looks beyond repair at this point.